Think back over your career; do any great managers stand out in your memory? Chances are, this person had a major impact on your success, both in a specific role and in future positions. He or she may have also inspired your attitudes about the company enough that you became an employee advocate. We’d consider this person not only a good manager but a good leader. How can managers become leaders? Keep reading to find out. In cross-functional working environments, effective communication between teams and employees is the key to success. 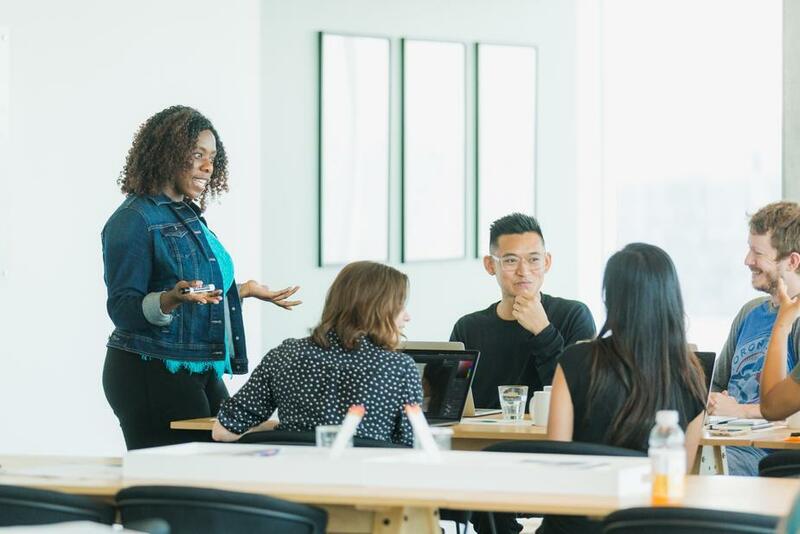 To become a leader, a manager must not only understand the nuances of professional communication, but also be able to adapt to everyone’s working style so that information can properly be conveyed and understood. Equally as and maybe more important than communication is the ability to listen. When it comes to sharing opinions and ideas, true leaders see an equal playing field between all employees. They’re able to open the floor so that everyone has a chance to speak and recognize that great ideas can come from anywhere. Even when they disagree, leaders allow fair time for all employees to share, regardless of seniority or title. …And they enable teams to do the same. Whereas a manager might be shortsighted, only looking at the most recent implications of their actions, leaders learn from the past to ensure the future looks better. Through team & one-on-one meetings, leaders can open the conversation to help employees reflect on past work and find ways to improve it going forward. A great leader understands the importance of delegation and trust in the team. Where some managers can be guilty of micromanaging, leaders recognize each employee’s unique talents and finds ways to allow those talents to shine. Leaders empower employees from Day 1 to make smart decisions by giving them the space and authority to do so. Through ongoing training, networking, and mentorship opportunities, POA employees have the chance to grow into leaders of the company. Want to find out more? Take a closer look at POA company culture on our weekly blog.